Home > Baby Shower Favors > DIY "Do It Yourself"
Ideal for those who prefer a hands on approach, our do-it-yourself favors cater to people who prefer to craft and prepare the party decor for enjoyment and / or budgetary constraints. You’ll surely find some great favor ideas and elements to mesh with your party theme. 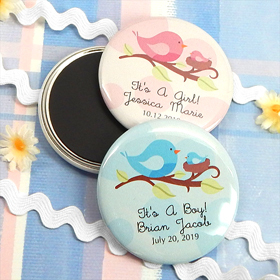 Quite a few of these can also be customized with a label that you can design and attach to the favors for your own added special touch. Each favor order is guaranteed and will include free delivery as well.